"They're functional, fashionable, and just plain fun!" So why then does this ad for legwarmers make them seem like only your stiffest, more preppiest, boring friend would wear them? It's like a Connecticut grandma made this commercial and thought they should only be warm by lacrosse-playing prep school students. Commercial aside, legwarmers may have been a fashion statement in warm-weather states, but man, for me, growing up in Minnesota and going to a Catholic high school, they were a lifesaver. We wore jumpers with bare legs during the day, but getting to school, in temps that sometimes reached 30 below, was another story. While you COULD wear jeans underneath your uniform jumper on your daily commute, wiggling out of snow-packed jeans or cords while sitting in a pile of melting snow in front of your locker was no fun. Legwarmers saved you from frostbite and were as '80s as popped collars and shoulder pads. 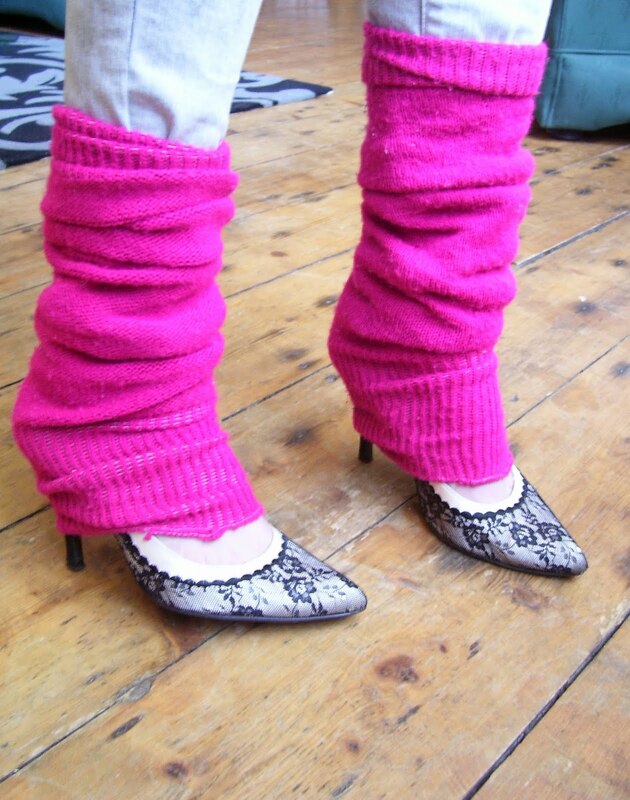 Did you wear legwarmers? What are your memories of this fashion fad? Can they ever make a comeback? SHOULD they?